The National Zoo has two campuses. The first is a 163-acre (66 ha) urban park located at Rock Creek Park in Northwest Washington, D.C., 20 minutes from the National Mall by MetroRail. The other campus is the 3,200-acre (1,300 ha) Smithsonian Conservation Biology Institute (SCBI; formerly known as the Conservation and Research Center) in Front Royal, Virginia. On this land, there are 180 species of trees, 850 species of woody shrubs and herbaceous plants, 40 species of grasses, and 36 different species of bamboo. The SCBI is a non-public facility devoted to training wildlife professionals in conservation biology and to propagating rare species through natural means and assisted reproduction. The National Zoo is accredited by the Association of Zoos and Aquariums (AZA). Rock Creek Park is a large urban park that bisects the Northwest quadrant of Washington, D.C. The park was created by an Act of Congress in 1890, and today is administered by the National Park Service. In addition to the park proper, the Rock Creek administrative unit of the National Park Service administers various other federally owned properties in the District of Columbia located to the north and west of the National Mall, including Meridian Hill Park on 16th Street, N.W., the Old Stone House in Georgetown, and certain of the Fort Circle Parks, a series of batteries and forts encircling the District of Columbia for its defense during the U.S. Civil War. The Smithsonian Conservation Biology Institute (SCBI) is a unit of the Smithsonian Institution located on a 3,200-acre (13 km2) campus located just outside the town of Front Royal, Virginia. An extension of the National Zoo in Washington, D.C., the SCBI has played a leading role in the fields of veterinary medicine, reproductive physiology and conservation biology since its founding in 1974. The two facilities host about 1,800 animals of 300 different species. About one-fifth of them are endangered or threatened. Most species are on exhibit at the Rock Creek Park campus. The best-known residents are the giant pandas, but the zoo is also home to birds, great apes, big cats, Asian elephants, insects, amphibians, reptiles, aquatic animals, small mammals and many more. The SCBI facility houses between 30 and 40 endangered species at any given time depending on research needs and recommendations from the zoo and the conservation community. The zoo was one of the first to establish a scientific research program. Because it is a part of the Smithsonian Institution, the National Zoo receives federal appropriations for operating expenses. A new master plan for the park was introduced in 2008 to upgrade the park's exhibits and layout. The Hominidae, whose members are known as great apes or hominids, are a taxonomic family of primates that includes eight extant species in four genera: Pongo, the Bornean, Sumatran and Tapanuli orangutan; Gorilla, the eastern and western gorilla; Pan, the common chimpanzee and the bonobo; and Homo, which includes modern humans and its extinct relatives, and ancestors, such as Homo erectus. William Temple Hornaday, Sc.D. was an American zoologist, conservationist, taxidermist, and author. He served as the first director of the New York Zoological Park, known today as the Bronx Zoo, and he was a pioneer in the early wildlife conservation movement in the United States. Frederick Law Olmsted was an American landscape architect, journalist, social critic, and public administrator. He is popularly considered to be the father of American landscape architecture. Olmsted was famous for co-designing many well-known urban parks with his senior partner Calvert Vaux, including Central Park in New York City and Cadwalader Park in Trenton. 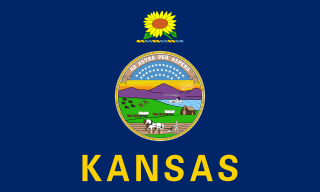 Charles Jesse Jones, known as Buffalo Jones, was an American frontiersman, farmer, rancher, hunter, and conservationist who cofounded Garden City, Kansas. He has been cited by the National Archives as one of the "preservers of the American bison". The bighorn sheep is a species of sheep native to North America named for its large horns. A pair of horns might weigh up to 14 kg (30 lb); the sheep weigh up to 140 kg (300 lb). Recent genetic testing indicates three distinct subspecies of Ovis canadensis, one of which is endangered: O. c. sierrae. Sheep originally crossed to North America over the Bering land bridge from Siberia; the population in North America peaked in the millions, and the bighorn sheep entered into the mythology of Native Americans. By 1900, the population had crashed to several thousand, due to diseases introduced through European livestock and overhunting. The zoo's Giant Panda Habitat features three outdoor areas with animal enrichment, as well as an indoor area with a rocky outcrop, a waterfall, and viewing areas. The zoo's pandas, named Mei Xiang and Tian Tian, are on loan from the China Wildlife Conservation Association, and will live at the zoo until 2020. They are the focus of a research, conservation, and breeding program that aims to preserve the species. Mei Xiang and Tian Tian successfully had a male cub, named Tai Shan, in 2005. Tai Shan currently lives at the Bifengxia Panda Base in Sichuan, China, taking part in Bifengxia's breeding program. On September 16, 2012, Mei Xiang gave birth to another cub, but the cub died six days after its birth. On August 23, 2013, Mei Xiang gave birth to two cubs; one, a female named Bao Bao, survived, while the other was stillborn. The pandas live at the Fujifilm Giant Panda Habitat, a state-of-the-art indoor and outdoor exhibit. The exhibit is designed to replicate the rocky, lush terrain of the pandas' natural habitat. Mei delivered two cubs in August 2015; one died a few days later. Both cubs, fraternal twins, were sired by Tian Tian; the surviving male was given the name Bei Bei on September 25, 2015 and was on public exhibit in January 2016. A group of Asia-themed exhibits opened in 2006. Along with the giant pandas, the area also displays sloth bears, fishing cats, red pandas, a clouded leopard, Asian small-clawed otters, and Asian elephants. Next to the pandas is an exhibit for Japanese giant salamander. However, in mid-2016, the salamander died and the exhibit space is currently unoccupied;  the zoo keeps members of the species off-exhibit in the reptile house. The American Trail exhibit houses a variety of North American species. These include five California sea lions, four grey seals, one harbor seal, three North American beavers, two North American River Otters, two bald eagles, two common ravens, three brown pelicans, and two grey wolves. After facing severe threats, the majority of American Trail species have rebounded thanks to conservation efforts. Many of the residents of American Trail have been listed as endangered. All of plants in the animal enclosures on American Trail exhibit are native to North America. The exhibit also features a cafe called Seal Rock Cafe, which offers dishes crafted from local, seasonal, and sustainable ingredients. Menu items include Best Aquaculture Practices (BAP) certified shrimp and Marine Stewardship Council (MSC) certified fish. The American Trail was recently renovated and reopened in late summer 2012. On January 24, 2014, the zoo's 10-year-old female lion, Nababiep, gave birth to three cubs in an eight-hour period. Two of the cubs survived, and were the first lion cub litter born at the zoo in four years, the third for Nababiep, and the fourth for the eight-year-old father, Luke. The birth followed the birth of two rare Sumatran tiger cubs to mother Damai on August 5, 2013. There are also two (currently indefinitely unoccupied) exhibits for bobcats and caracals. As of 2017, [update] The Bird House is closed for renovations for "Experience Migration", an exhibition dedicated to migratory birds. Experience Migration will open in 2021. A new pair of pandas, female Mei Xiang ("Beautiful Fragrance") and male Tian Tian ("More and More"), arrived on loan from the Chinese government in late 2000. The zoo paid an estimated 10 million dollars for the 10-year loan. On July 9, 2005, a male panda cub was born at the zoo. It was the first surviving panda birth at the zoo and the product of artificial insemination by the zoo's reproductive research team. The cub was named Tai Shan ("Peaceful Mountain") on October 17, 100 days after his birth; the panda went without a name for its first hundred days, in observance of a Chinese custom. Tai Shan is property of the Chinese government and was scheduled to be sent to China after his second birthday, although that deadline was extended in 2007 by two years. Tai Shan left Washington, D.C., on February 4, 2010, and was taken to the Ya'an Bifengxia Panda Base, part of the Wolong nature reserve's panda conservation center. In the summer of 2013, Mei Xiang gave birth to a live female panda cub (Tian Tian is the father; a second cub was stillborn), named Bao Bao ("treasure" or "precious"; decided through a naming contest) on the 100th day of her existence. As of January 18,2014, [update] Bao Bao is on public exhibit and drawing crowds, greatly increasing zoo attendance and on-line views via PandaCam. Mei Xiang gave birth in August 2015 to two live cubs; the smaller one died a few days later (keepers had to care for it after Mei decided to focus on the larger cub). Sperm from both Tian Tian and another male giant panda based in a China preserve was used. It was determined on August 28, 2015  that both cubs were male and sired by Tian Tian. The larger, surviving cub was named Bei Bei  ("precious treasure") on September 25, 2015. In celebration of a state visit, the name was selected by First Lady of the United States, Michelle Obama, and First Lady of the People's Republic of China, Peng Liyuan. 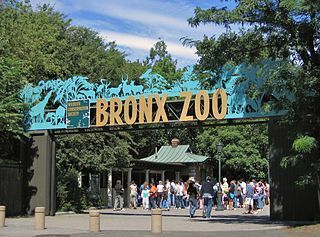 The Bronx Zoo is a zoo located within Bronx Park in the Bronx, a borough of New York City. It is one of the largest zoos in the United States by area, comprising 265 acres (107 ha) of park lands and naturalistic habitats separated by the Bronx River. On average, the zoo has 2.15 million visitors each year as of 2009. The San Diego Zoo is a zoo in Balboa Park, San Diego, California, housing over more than 3,500 animals of more than 650 species and subspecies. Its parent organization, San Diego Zoo Global, is one of the largest zoological membership associations in the world, with more than 250,000 member households and 130,000 child memberships, representing more than a half million people. The San Diego Zoo was a pioneer in the concept of open-air, cageless exhibits that re-create natural animal habitats. It is one of the few zoos in the world that houses, and successfully breeds the giant panda. In 2013, the zoo added a new Australian Outback exhibit, providing an updated Australian animal experience. Another new exhibit, called Africa Rocks, opened in 2017. ZSL Whipsnade Zoo, formerly known as Whipsnade Wild Animal Park, is a zoo and safari park located at Whipsnade, near Dunstable in Bedfordshire, England. It is one of two zoos that are owned by the Zoological Society of London (ZSL), a charity devoted to the worldwide conservation of animals and their habitats. Zoo Atlanta is an Association of Zoos and Aquariums (AZA) accredited zoological park in Atlanta, Georgia. The current President and CEO of Zoo Atlanta is Raymond B. King. Tai Shan is a giant panda born at the National Zoo in Washington D.C. on July 9, 2005 at 3:41 AM. He is the first panda cub born at the National Zoo to survive for more than a few days. The Edmonton Valley Zoo is a zoo located in the heart of Edmonton, Alberta's river valley. The Edmonton Valley Zoo is owned and operated by the City of Edmonton and is open 364 days a year, closing only on Christmas. The zoo is currently accredited by the Canadian Association of Zoos and Aquariums and is one of three accredited zoos in Alberta. The Rosamond Gifford Zoo at Burnet Park is a zoo in Syracuse, New York. It is owned and operated by Onondaga County Parks with support from Friends of the Zoo. The zoo is home to more than 700 animals on 43 acres (17 ha). Some of the more popular animals include Asian elephants, Humboldt penguins, and Amur tigers. The zoo also houses a conservation education center, banquet/meeting space, Jungle Cafe, and gift shop. Woburn Safari Park is a safari park located in Woburn, Bedfordshire, England. Visitors to the park can drive through exhibits, which contain species such as southern white rhino, elephants, tigers and black bears. It is part of the estates of the Duke of Bedford that also includes Woburn Abbey and its 3,000-acre (1,200 ha) deer park. The Safari Park itself covers 360 acres (150 ha). Mei Xiang is a female giant panda who lives at the National Zoo in Washington D.C.
Ling-Ling (1969–92) and Hsing-Hsing (1970–99) were two giant pandas given to the United States as gifts by the government of China following President Richard Nixon's visit in 1972. As a gift, the U.S. government sent China a pair of musk oxen. Tian Tian is a 275-pound male giant panda at the National Zoo in Washington D.C. The panda was born on August 27, 1997, at the China Conservation and Research Center for the Giant Panda at the Wolong National Nature Reserve in Sichuan Province, to Yong Ba (mother) and Pan Pan (father). Tian Tian is the half-brother of the San Diego Zoo's Bai Yun. Chengdu Research Base of Giant Panda Breeding, or simply Chengdu Panda Base, is a non-profit research and breeding facility for giant pandas and other rare animals. It is located in Chengdu, Sichuan, China. Bao Bao is a female giant panda cub who was born at the National Zoo in Washington D.C. She was at the Zoo until February 2017, when she traveled to the China Conservation and Research Center for the Giant Panda in Sichuan Province. Janine L. Brown is a scientist specializing in the reproductive biology of endangered species. She is the head of the National Zoological Park's Endocrine Research Laboratory at the Smithsonian Conservation Biology Institute. Brown has been called "a world authority on elephant reproductive biology" and is in charge of the elephant reproduction program at the National Zoological Park. Bei Bei is a male giant panda cub who lives at the National Zoo in Washington, D.C., in the United States. He is part of US-China relations panda diplomacy and will have to be sent to the People's Republic of China at the age of 4. He is the brother of both Tai Shan and Bao Bao. Conservation and restoration at the Smithsonian Institution deals with the care of the 138 million artifacts located in the collections of Smithsonian Institution. Work is conducted by one research center, the Museum Conservation Institute (MCI), and by conservators at the Smithsonian's museums, galleries, zoo. Smithsonian conservators provide myriad services to their units, including exhibit preparation of the museum collection and loan objects, advising on object care, training for future generations of conservationists, engaging in routine preventive care on a daily basis, conducting research projects related to the collections, and examining objects for evidence of manufacturing techniques and previous restorations All conservation labs collectively further the mission of the Smithsonian Institution, "the increase and diffusion of knowledge." Founded in 1846 the Smithsonian is the world's largest museum and research complex, consisting of 19 museums and galleries, the National Zoological Park, and nine research facilities. ↑ "Proposed Location for a Zoological Park Along Rock Creek". ghostsofdc.org. Ghosts of D.C. April 12, 2012. Retrieved May 25, 2012. 1 2 3 "About Us". nationalzoo.si.edu. National Zoological Park. Retrieved May 25, 2012. 1 2 3 "Smithsonian Conservation Biology Institute". nationalzoo.si.edu. National Zoological Park. Archived from the original on June 11, 2007. Retrieved July 13, 2007. ↑ "Currently Accredited Zoos and Aquariums". aza.org. AZA . Retrieved May 25, 2012. ↑ "Mission". nationalzoo.si.edu. National Zoological Park. Archived from the original on May 26, 2012. Retrieved May 25, 2012. ↑ "By MetroRail". nationalzoo.si.edu. National Zoological Park. Archived from the original on June 1, 2012. Retrieved May 25, 2012. 1 2 3 4 5 6 "National Zoo Facts and Figures". si.edu. Archived from the original on August 20, 2014. ↑ "History of the National Zoo – National Zoo- FONZ". si.edu. ↑ "National Zoo Species". nationalzoo.si.edu. National Zoological Park. Retrieved May 25, 2012. 1 2 "National Zoological Park". Smithsonian Institution Archives. Archived from the original on November 11, 2014. ↑ "National Zoo on Twitter: "Happy #PresidentsDay! On March 2, 1889, President Grover Cleveland signed a bill passed by Congress that officially established the National Zoo! American bison, our #NationalMammal, were among the 1st species in our care. This photo was taken at the @smithsonian b/t 1887 & 1889.…". Twitter . 2018-02-19. Retrieved 2019-01-14. ↑ "On March 2, 1889, President Grover... - Smithsonian's National Zoo and Conservation Biology Institute - Facebook". Facebook . 2014-03-02. Retrieved 2019-01-14. ↑ "American Bison Exhibit - Smithsonian's National Zoo". NationalZoo.si.edu. Retrieved 2019-01-14. ↑ "Publications of the Colonial Society of Massachusetts Pg. 26 - Google Books". Google Books . 1906. Retrieved 2019-01-14. 1 2 3 4 5 6 7 8 9 "History". nationalzoo.si.edu. National Zoological Park. Retrieved May 25, 2012. ↑ Anderson, H. Allen (August 2000). "Buffalo Jones". h-net.msu.edu. H-net Online. Archived from the original on March 6, 2012. Retrieved May 25, 2012. ↑ Ruane, Michael E. (November 12, 2009). "For Happy the hippo, moving from Washington to Milwaukee has been a pleasure". Washingtonpost.com. Retrieved July 10, 2018. 1 2 "Pandas Will Live in D.C. Until (At Least) 2020". Washington City Paper. Retrieved 2016-11-09. ↑ "Leadership Change at Smithsonian's National Zoo and Conservation Biology Institute". Smithsonian's National Zoo. Retrieved July 10, 2018. ↑ Dazio, Stefanie E.; Ruane, Michael E. (August 28, 2013). "Panda cub born to Mei Xiang at National Zoo". The Washington Post. ↑ Ruane, Michael E.; Koh, Elizabeth; Weil, Martin (August 23, 2015). "National Zoo's giant panda Mei Xiang gives birth to two cubs hours apart". The Washington Post. Retrieved August 23, 2015. ↑ "Japanese Giant Salamander Dies at the Smithsonian's National Zoo". Smithsonian's National Zoo. Retrieved July 10, 2018. ↑ Ruane, Michael E. (September 3, 2010). "National Zoo debuts new, larger home for elephants". washingtonpost.com. The Washington Post. Retrieved May 26, 2012. ↑ "Elephant Trails". nationalzoo.si.edu. Smithsonian Institution. Archived from the original on March 7, 2013. Retrieved March 6, 2013. ↑ Barron, Christina (March 26, 2013). "Elephants move into new community center at the National Zoo". The Washington Post. ↑ (1) "Lemurs at the Smithsonian National Zoo". Smithsonian National Zoological Park. Lemur Conservation Network. 2015. Retrieved August 5, 2016. The Smithsonian's National Zoo currently houses four species of lemurs: black-and-white ruffed lemurs (Varecia variegate), ring-tailed lemurs (Lemur catta) and red-fronted lemurs (Eulemur rufus) in their mixed species Lemur Island exhibit, ... .
↑ "Small Mammal House". Smithsonian's National Zoo. Retrieved July 10, 2018. ↑ "American Trail". Smithsonian's National Zoo. Retrieved July 10, 2018. ↑ "The Newest Exhibit Area at the Smithsonian's National Zoo". Smithsonian's National Zoo. Archived from the original on February 25, 2013. Retrieved January 25, 2013. ↑ Weil, Martin (November 25, 2012). "National Zoo mourns loss of Soyono, Sumatran tiger". The Washington Post. Retrieved 26 November 2012. ↑ "Great Cat Exhibit – National Zoo". si.edu. ↑ "Cheetah Conservation Station". Smithsonian's National Zoo. Retrieved July 10, 2018. ↑ "National Zoo's Invertebrate Exhibit to Close June 22". Archived from the original on June 20, 2014. Retrieved June 23, 2014. ↑ "Experience Migration Project". Smithsonian National Zoological Park. Retrieved December 5, 2016. ↑ "Amazonia". Smithsonian's National Zoo. Retrieved July 10, 2018. ↑ "Reptile Discovery Center". Smithsonian's National Zoo. Retrieved July 10, 2018. ↑ "Experience Migration". Smithsonian National Zoological Park. Retrieved June 30, 2017. ↑ Jennifer Doren (July 20, 2011). "Generous Gift Keeps Kids' Farm Open". NBC 4 Washington. Retrieved June 17, 2015. ↑ Ileana Najarro (August 27, 2014). "National Zoo's American bison are named: Zora and Wilma". The Washington Post. Retrieved February 23, 2015. ↑ Kitson Jazynka (September 2, 2014). "Bison return to National Zoo". The Washington Post. Retrieved February 23, 2015. ↑ "Meet the Animals". Smithsonian's National Zoo. Retrieved July 10, 2018. 1 2 Bennicoff, Tad (May 27, 2010). "Bearly Survived to become an Icon". blog.photography.si.edu. Smithsonian Institution Archives. Retrieved May 26, 2012. ↑ Kelly, John (April 25, 2010). "The biography of Smokey Bear: the cartoon came first". washingtonpost.com. Washington Post. ↑ Byron, Jimmy (February 1, 2011). "Pat Nixon and Panda Diplomacy". nixonfoundation.org. Richard Nixon Foundation. Retrieved May 26, 2012. ↑ Bennefield, Robin M. (April 16, 1972). "Ling Ling and Hsing Hsing : Meet the Pandas : Animal Planet". animal.discovery.com. Discovery Communications, LLC. Retrieved May 26, 2012. ↑ Handwerk, Brian (January 9, 2001). "Panda "Ambassadors" Introduced to Washington, D.C." nationalgeographic.com. National Geographic News. Retrieved May 26, 2012. ↑ "Keeper's diary: Bao Bao's challenge after her return from America". Xinhuanet.com. Retrieved July 10, 2018. ↑ "Upcoming Events". nationalzoo.si.edu. National Zoological Park. Retrieved May 25, 2012. ↑ "Activities". nationalzoo.si.edu. National Zoological Park. Archived from the original on June 1, 2012. Retrieved May 25, 2012. 1 2 "FONZ Fact Sheet". nationalzoo.si.edu. National Zoological Park. Archived from the original on April 15, 2012. Retrieved May 25, 2012. ↑ "Smithsonian Zoogoer". nationalzoo.si.edu. National Zoological Park. Archived from the original on May 13, 2012. Retrieved May 25, 2012. 1 2 3 4 "Smithsonian Conservation Biology Institute". nationalzoo.si.edu. National Zoological Park. Retrieved May 25, 2012. ↑ "Changed Veterinary Records". washingtonpost.com. The Washington Post. Retrieved May 26, 2012. ↑ "Response From Chief Veterinarian Suzan Murray About Changes to Veterinary Notes". washingtonpost.com. The Washington Post. Retrieved May 26, 2012. ↑ "Principles of Veterinary Medical Ethics of the AVMA". avma.org. American Veterinary Medical Association. Archived from the original on May 10, 2012. Retrieved May 26, 2012. ↑ Pegg, J.R. (February 26, 2004). "Experts Blast National Zoo Management, Director Resigns". cbsnews.com. CBS News. Retrieved May 25, 2012. ↑ Strauss, Valerie (July 6, 2003). "Bald Eagle Killed in Attack at National Zoo: Nation's Emblem of Freedom Dies on Independence Day After Fight With Unknown Animal". pqasb.pqarchiver.com. The Washington Post. Retrieved March 29, 2007. ↑ "Third death this month at National Zoo". wtopnews.com. WTOP News. March 31, 2005. Archived from the original on February 9, 2013. Retrieved May 25, 2012. ↑ Committee on the Review of the Smithsonian (January 2005). "Animal Care and Management at the National Zoo: Final Report" (PDF). ISBN 0-309-09583-2. Archived from the original (PDF) on May 16, 2005. Retrieved July 12, 2017. In total, the committee evaluated 74% of all megavertebrate deaths that occurred at the National Zoo from 1999 to 2003. The committee concluded that in a majority of cases, the animal received appropriate care throughout its lifetime. In particular, the committee’s evaluation of randomly sampled megavertebrate deaths at the Rock Creek Park facility revealed few questions about the appropriateness of these animals’ care, suggesting that the publicized animal deaths were not indicative of a wider, undiscovered problem with animal care at the Rock Creek Park facility. ↑ "National Zoo Faulted; Chief Quits". cbsnews.com. CBS News. February 25, 2004. Retrieved June 10, 2008. 1 2 Wilgoren, Debbi (December 23, 2006). "What's New at the National Zoo?". washingtonpost.com. The Washington Post. Retrieved May 23, 2010. Wikimedia Commons has media related to National Zoological Park .